Another large collection of Free Microsoft eBooks and Resource Kits for you, including: SharePoint 2013, Office 2013, Office 365, Duet 2.0, Azure, Cloud, Windows Phone, Lync, Dynamics CRM, and more…. The plan is to install and configure SQL Server 2012. This blog post is a part 2 to my installing SharePoint 2013 so let’s go..
Do not try to install SQL Server 2012 on a compressed, encrypted or read-only drive, because setup will block the installation. The user account that is going to be configured to run SQL Server Setup must have administrative privileges on the computer. Enable .NET Framework 3.5 (http://www.sqlcoffee.com/Troubleshooting101.htm). Make sure your server has internet access to download all the latest updates. I had a problem with internet connection and connection to my domain. Enabling DHCP (required for internet access) ‘detaches’ the server from the domain as it changes the internet settings for that server (IP v4 settings for the network connection adapter) to automatically assign IP addresses and DNS (Dynamic settings). To add the server to the domain you simply change the IP, Subnet Mask, DNS server address in the adapter settings to static addresses, which means they don’t change. I haven’t resolved this yet but research points to creating DNS forwarders to resolve, but I don’t want internet access on my servers once it is set up so this doesn’t bother me for now. I will resolve it one day when I get around to it and will blog about it. Identify drives to which the databases and/or logs will be backed up, ensuring that there is enough disk space to accommodate the backups for the retention period that you choose. Create dedicated service account for each of the service to be installed. Ensure that these accounts are not member of Local Administrator because it will give unnecessary rights to these accounts. Note: for the purpose of this tutorial I’m using local system accounts as a service start-up accounts. Assign Deny logon locally right to these service accounts. Choose the port number for you SQL Server installation because common TCP\IP ports 1433/1434 ports are well known and are common target for hackers. Therefore it is recommended to change default ports associated with the SQL Server installation. Ok so we are ready, let’s do this! Run the setup from the installation media. I used Hyper V, so I attached the installation image to the DVD Drive so it appears as the dvd drive on the server. Under Installation, choose a New SQL Server stand-alone installation. 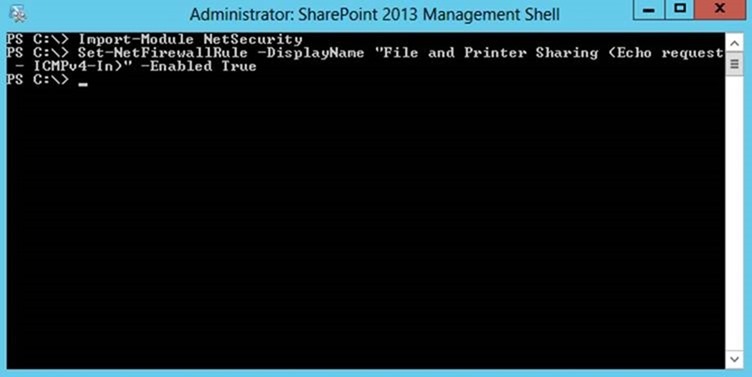 Now Setup Support Rules will run to identify problems that may occur during the Setup Support Files installation. If I had ended up with any “Failed” items I would not have been able to proceed without resolving them. If you don’t have any errors continue on with the next step in the installation process by clicking on the “OK” button, otherwise click the failed links to resolve the issues. By default the SQL Server 2012 installation will look for product updates using the client Windows Update service. The “Checking for Updates…” progress bar shows when it is searching for updates. If you don’t want to search for updates uncheck the “Include SQL Server product updates” checkbox and then click on “Next >” to proceed with the installation process, which installs the updates. These files are necessary to perform the actual installation. Following the installation of the setup support files, you will be presented with another compatibility check. Following dialog appears once you successfully pass these checks. Now we need to assign this server a role. Select SQL Server Feature Installation option and then Next to continue to Feature Selection page. Click Next to continue to the Instance Configuration page. Each server machine can host one default instance of SQL Server, which resolves to the server name, and multiple named instances, which resolves to the pattern ServerName\InstanceName. Then you need to specify if you are going for a named instance or the default. Run SQL Server services with the lowest possible privileges. Associate SQL Server services with Windows accounts. Require Windows Authentication for connections to the SQL Server. Note that there are three different tabs on this window: Server Configuration, Data Directory, and FILESTREAM. On the first tab, “Server Configuration”, I need to identify the “Authentication Mode” that SQL Server will use for my installation. There are two choices for authentication, “Windows” and “Mix Mode”. If I select Windows only, then all logins that need to connect with my SQL Server instance will need to be Windows accounts. If I select “Mixed Mode” then I can have both Windows and SQL Server authenticated logins. I typically select “Mixed Mode” so I can have the flexibility of using both account types, but I typically require all applications to connect using Windows Authentication if possible. I do this because I have found a number of third party applications that still do not support Windows authentication. If I specify “Mixed Mode” I am also required to set a SA password. Additionally on this tab I can add the Windows logins that I want to be placed in the sysadmin role by using the “Add Current User” or “Add…” buttons at the bottom of this window. I also added the current Admin and Set Up admin accounts as administrators. Use the “Data Directories” tab on the “Database Engine Configuration” page to change the default location for data directories. On this window I can specify the location for each of the different database components. With SQL Server 2012, Microsoft has given me more options on where to place the different data components. I now have options for where I want the user database, temp databases and backup components to reside. This allows me to separate my components across different disk drives to help optimize the disk layout of my SQL Server components across my I/O subsystem. I left the defaults in there. By default FILESTREAM is disabled. FILESTREAM feature is quiet useful when binaries or other data that does not fit neatly in a table structure. To enable it all I would need to do is check the checkbox labelled “Enable FILESTREAM for Transact-SQL access”. If I check this box the “Enable FILESTREAM for file I/O access” checkbox becomes available. If I decided to check this box Windows will be able to access the files store in the windows share. I can use the “Windows share name” to identify the Windows file share name that will be used access the file stream data. If I also want to allow remote clients to be able to access the FILESTREAM datasets then I would also want to check the checkbox labelled “Allow remote clients access to FILESTEAM data”. For my installation I will not be enabling FILESTREAM, so I will not be checking any of these boxes. If I find I need FILESTREAM later I can always enable it. If you plan to use RBS you need to enable FILESTREAM for Transact-SQL access and FILESTREAM for file I/O. Select “Install Analysis Services in Multidimensional and Data Mining Mode” to install Analysis Services with support for online analytical processing databases and data mining models. Or select “Tabular Mode” to install Analysis Services with support for tabular models. Each mode is exclusive of the other. Pick an administrator. I created an AD account for Analysis services to run and used this account as the Admin. Analysis services I required for Business Intelligence features to work in SharePoint 2013. Here I entered the Domain Controller name, the machine I was working on, and left the defaults for directories. Click Next, then the System Configuration Checker will run some more rules that will validate your computer configuration with the SQL Server features you have specified. This window will verify that the installation has no failures. If I did have failures I would need to resolve them prior to proceeding. Then you’re done. I would then fire up Configuration Manager and start all my required services. Also enable all 3 protocols for SQL Server Network Configuration, also in configuration manager (Restart of services required). Don’t forget to enable SQL Server Browser service if you installed a named instance of SQL Server.